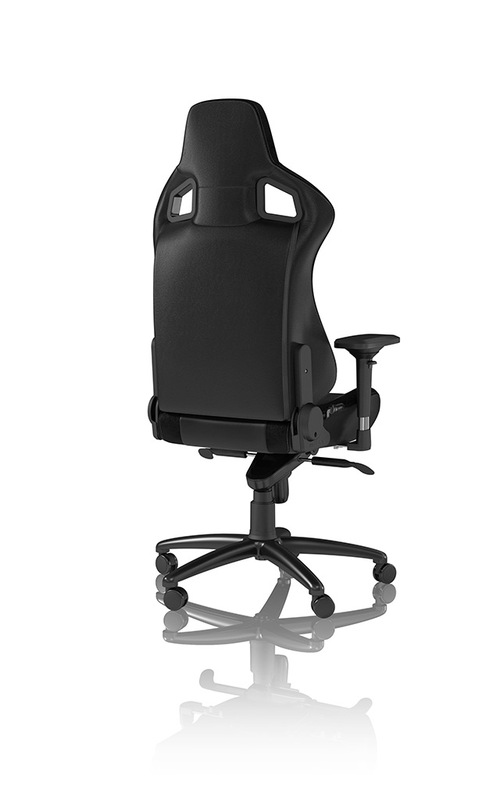 The noblechairs EPIC Series in black is a luxury executive chair covered in a high-grade, 100% vegan, PU imitation leather. 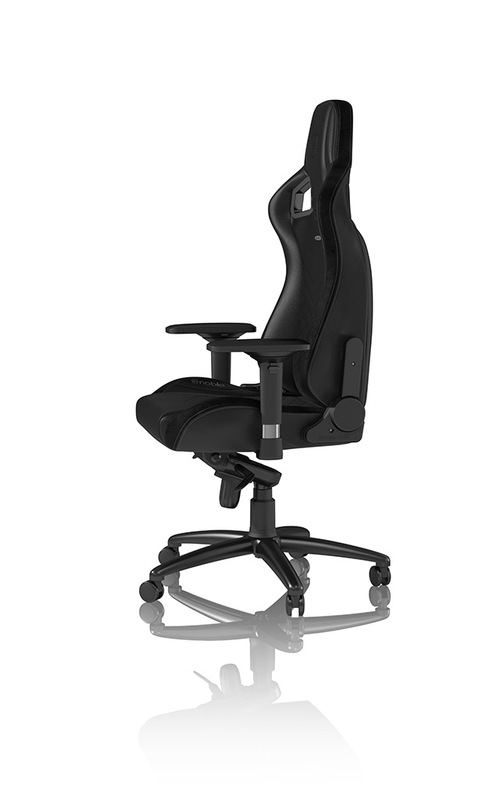 Go back to black with the stunning style and ergonomic design of noblechairs. With such impeccable detail, it is a pleasure to introduce the noblechairs EPIC Series in black to the discerning customer who seeks to have ‘all black everything’. 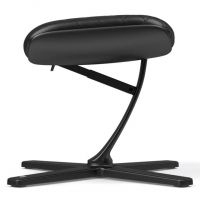 Its imitation leather exudes an appealing shine while its sides are attractively framed with a black strip of velour leather modelled after suede. 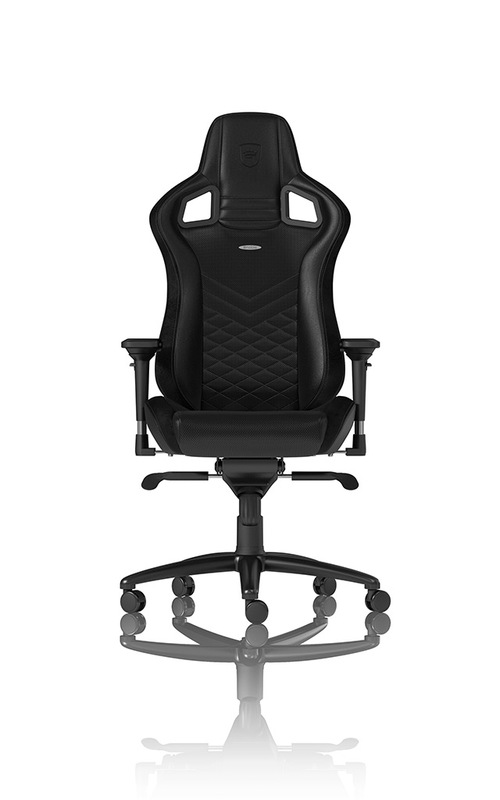 The entire contact area is covered with premium PU imitation leather detailed with a diamond pattern stitching on the seat and lumbar region for ultimate aeration. 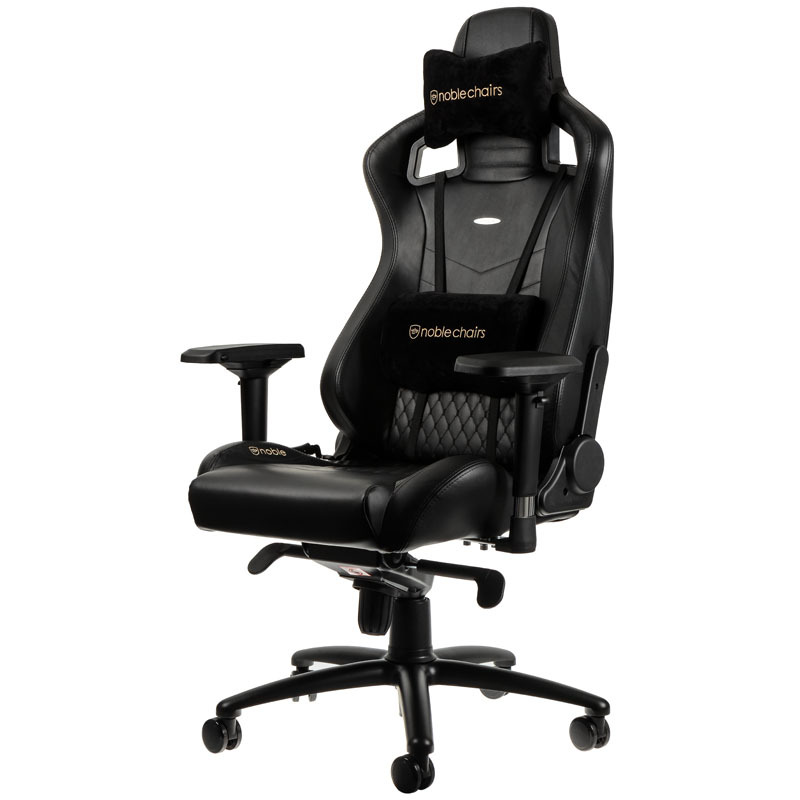 The noblechairs EPIC Series in black is distinguishable by black stitching at its hems and backrest as well as its overall ergonomic design and precise craftsmanship. The subtly debossed crown logo that adorns the headrest, the golden embroidered logo accentuating the right side of the chair and the aluminum emblem are certifiable noblechairs seals of authenticity.